President Obama's prime time speech lifted the Democratic convention to its third straight night of ratings wins over the Republican convention last week -- and now the Trump campaign is exhorting supporters not to watch the Democrats' final night. About 24 million viewers watched Wednesday's DNC coverage on the six biggest channels (CNN, MSNBC, NBC, ABC, CBS, and Fox News), according to preliminary Nielsen data. Last Wednesday's RNC coverage drew 23.4 million viewers across eight channels. 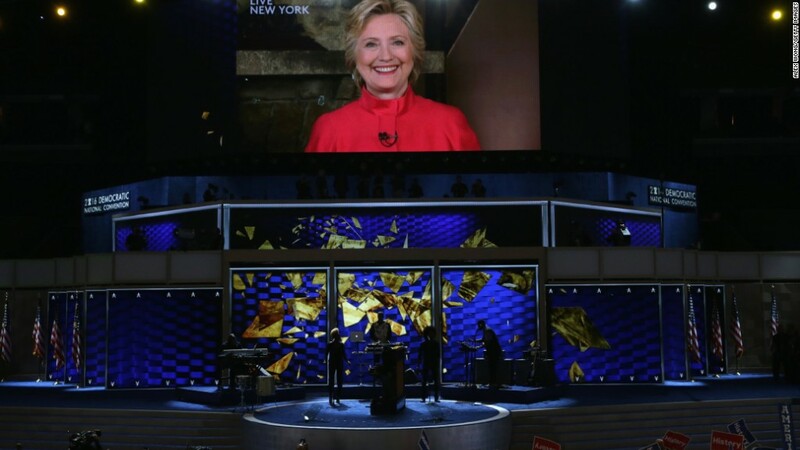 The coverage of Obama's speech and Hillary Clinton's appearance on stage spilled into the typically lower-rated 11 p.m. hour, but the ratings results indicate that most viewers kept watching until the very end of the evening. For the third night in a row, CNN was #1 overall, with 6.17 million viewers between 10 and 11:45 p.m. MSNBC was #2 with 4.92 million. NBC was #3 with 4.17 million. The Democratic ratings advantage has come as something of a surprise, given Donald Trump's reputation as a ratings magnet. Last week he touted the viewership for his Republican convention and predicted that no one would watch the Democrats. On Thursday morning, Trump's campaign sent a fund-raising email urging supporters not to tune into Clinton's acceptance speech on Thursday night. "Unless you want to be lied to, belittled, and attacked for your beliefs, don't watch Hillary's DNC speech tonight," the email read. "Instead, help Donald Trump hold her accountable, call out her lies and fight back against her nasty attacks." The email could be interpreted two ways: As a creative way to raise money off of Clinton's speech or an admission of insecurity by the Trump campaign. Trump frequently boasts about the high ratings his interviews and speeches receive, but the Clintons and Obamas are demonstrating their ratings power this week. Coverage of the DNC in the 10 p.m. hour on broadcast and cable has been higher-rated than the same convention in 2012 and higher-rated than the RNC proceedings last week. Monday night's speeches were seen by 26 million viewers across seven channels, versus 23 million for night one of the RNC. Tuesday night's DNC coverage averaged 24 million, versus 19 million for night two of the RNC. The Nielsen estimates do not account for live streaming, on demand video viewing, PBS, or C-SPAN.